The homemade Kaspress dumplings sizzle quietly in the pan ... with hungry and curious eyes, the children sit at the dining table and wait ... As a chalet guest you will have countless possibilities in the chalet village or in the adjoining hotel to indulge your taste buds. Your own chalet-all-around feel-good butler service in your private SPA chalet. Have a nice breakfast in your pyjamas and still do not have to do without anything? In the PURADIES the luxury will begin in the morning - you will receive your breakfast basket with the most delicious Leogang organic breakfast delivered directly to the chalet. 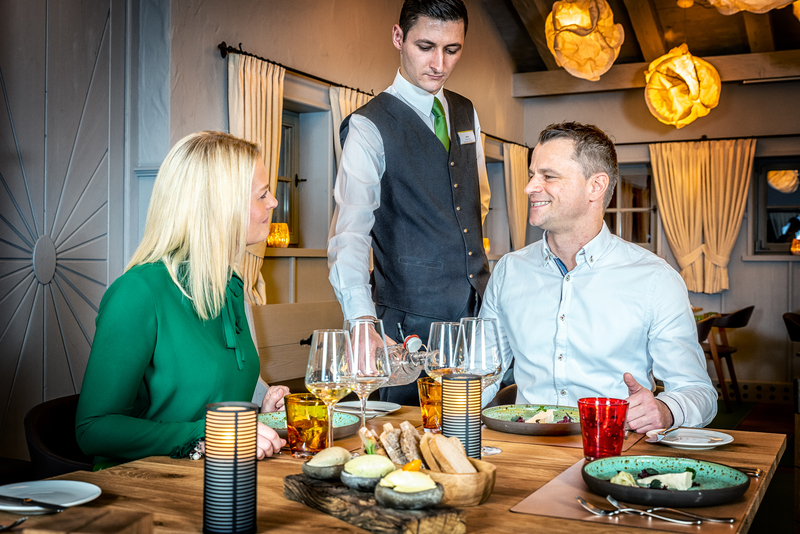 In the afternoon, the restaurant of the hotel will invite all chalet guests to a fine afternoon snack with sweet delicacies and hearty bites - included in the price. In the evening, you can simply order regional delicacies from your chalet menu and you will get dishes like fondue for the whole family or a traditional Wiener Schnitzel delivered to your chalet - it could not be more relaxing. 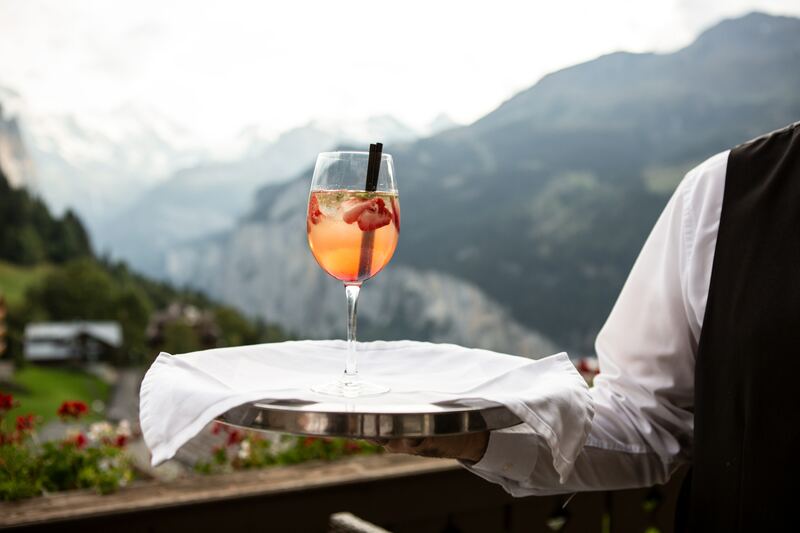 If you prefer to spend an eventful evening, the new gourmet restaurant ESS:ENZ will lure with the finest fine dining menus in a fantastic ambience in your chalet village in the newly launched Embachalm. Of course, if you prefer to have breakfast and dinner at the hotel, this is not a problem. Here you can expect our rich breakfast buffet and a 5-course dinner in the evening. Of course, delicious creations from our bar menu can always be ordered at our award-winning bar. Such a unique selection is only available in the PURADIES.